The upgrades made to the MacBook Air this year are minor, meaning that those looking for an overhaul will be disappointed. While the rest of the recipe is great, we're still underwhelmed by the screen and this is an area that really needs attention. It's particularly concerning as the MacBook Pro continues to improve: the cheapest model with a Retina Display is £999 and has a more powerful processor. So does the MacBook Air succeed in its new role as an everyday laptop? Well, you'll never confuse it for the $500 Toshiba Satellites or HP Pavilions down at Best Buy—even upstaged by the new MacBook, it remains a premium piece of engineering, with a hardware/software synergy that other vendors can only sigh after. 80% Apple MacBook Air 2015 review (13-inch): is this a better choice than the smaller MacBook? The 2015 MacBook Air is unexciting and not as fashionable as it once was, but its excellent battery life, decent performance and good selection of ports make it worthy of your consideration for another year. Though it doesn’t quite pack the power of a Retina MacBook Pro, Intel’s latest processor and faster storage make it a genuinely nippy machine that handles day-to-day tasks with ease. For owners of compatible peripherals, Thunderbolt 2 is a useful addition. Much faster storage and a better performing processor/graphics combo make this year's 13-inch MacBook Air a technically better machine than its predecessor, but unless you really need those gains it's not worth the upgrade. That's particularly so in the absence of any new features – such as the Retina MacBook Pro's Force Touch Trackpad. 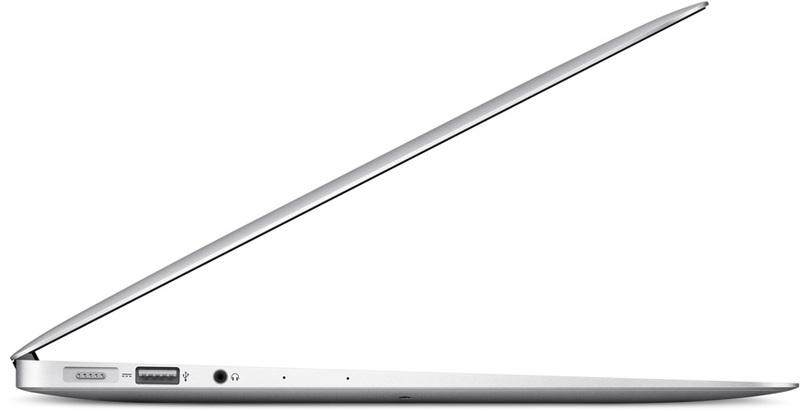 One of the major feathers in the 2015 Macbook Air's cap is the upgrade to Intel's latest Broadwell processors. However, it may about to be overtaken. Performance and storage upgrades keep the already superb MacBook Air ticking over, but the low-resolution screen is starting to hold it back. The Apple MacBook Air is a rare case where time has worked in a notebook’s favour. Each rendition has seen its technology mature, and even its sore points are somehow redeemed, like how the low resolution of its screen is offset by excellent battery life. Standards today deem the Air not the thinnest, nor lightest notebook on the market. 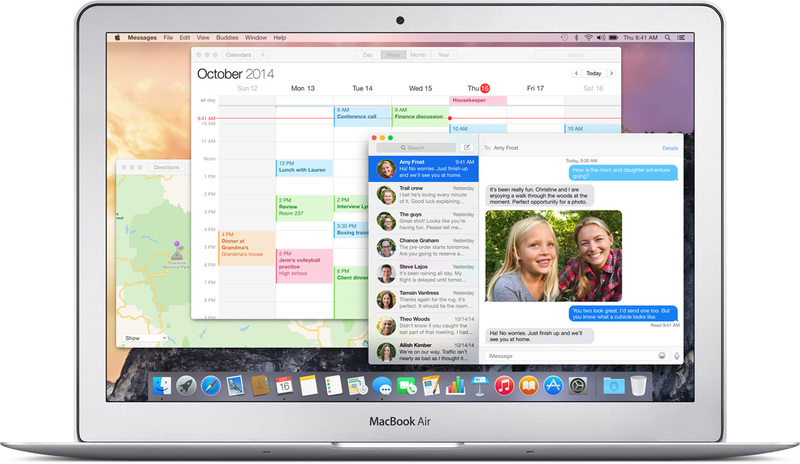 The 2015 MacBook Air is a very good upgrade over last year's model. You get better performance and better battery life, all for $999. I also continue to like the comfortable keyboard and accurate touchpad, even though the Air lacks the new ForcePad. However, the notebook's design is due for an overhaul, and shoppers deserve a sharper and more colorful display. 80% Apple MacBook Air 13"
The MacBook Air 2015 is still a great 13" ultrabook for those who absolutely must have a computer running Mac OS or very long battery life. For everybody else, we'd recommend you also look at the HP Spectre x360 and the Dell XPS 13, which are significantly cheaper for an equivalent configuration. For all its good points – and several still remain – the 13in MacBook Air feels like a diminished force, and Apple’s reticence to update it with Force Touch or a much-needed Retina display says a lot about its future in the MacBook family. Say your goodbyes, for the 13in Apple MacBook Air looks to be ready for retirement. While the MacBook Air no longer turns head like it once did, this remains a solid machine for work and play, and a staple of pretty much every airplane, coffee shop and conference room we've been in over the past few years. Some parts of the body are feeling ever more out of date when compared to the sharpest new laptop designs, especially the lower-res display and its thick screen bezel. Given that a sub-1kg 12in MacBook is on the way and the entry level MacBook Pro with Retina Display is just £150 more than the basic MacBook Air, the Air finds itself in an awkward position. It can still hold its own, though: the extra battery life compared to the MacBook Pro is a genuinely tempting prospect, as is the 200g difference in weight. We just wish the screen was better: 1,440x900 pixels in 2015 simply isn't enough. After some extensive testing, we found the MacBook Air (13-inch, Early 2015) to be little different overall to the 2014 model. The Thunderbolt 2 update will prove useful for connecting to high-resolution UHD displays, and a few percent of added processor power is never unwelcome. But hoped-for improvements in graphics performance and battery longevity did not arise in our testing, in spite of a new Intel processor which was expected to shepherd benefits in both areas. If a thin design and ultra-portability are what you are seeking when it comes to a laptop, the 13-inch MacBook Air will fit the bill nicely. It has great looks, durable construction, a decent number of ports and connectivity options, and a battery life that is quite impressive when compared to other devices on the market. Apple is scraping by just one more year with what is pretty much the same MacBook Air design as before. You get a new processor, new connectors and slightly improved battery life. 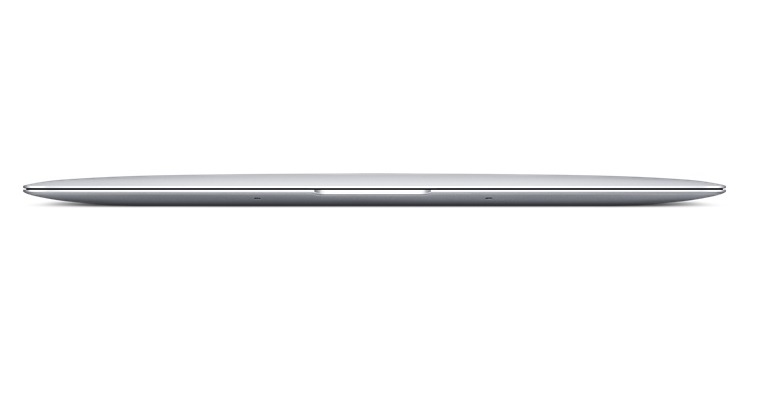 But if you were waiting for the Retina MacBook Air, this is not it. The screen technology looks seriously dated at this point, especially when Apple packs such fantastic displays into its other MacBook ranges, so make sure searingly sharp images aren't too high on your priority list before buying. If thin and light are the main things you’re looking at when it comes to a computer, it’s hard to look past Apple’s 2015 MacBook Air, even if the screen needs a bit of work. It has the looks, a solid design, enough ports, and a battery life that we wish other machines in its class neared, and now it has a system that stay cool under pressure. To be fair, the battery life of the MacBook Air is still hard to beat, and a more mass-market price tag would probably see the darn thing flying off the shelves again. But the bottom line is that it’s now an entry-level laptop with a mid-range price tag. Apple justifies its premium prices by delivering premium design, and on that score the MacBook Air, sadly, just doesn’t cut it anymore, but at least it has a choice of USB and Thunderbolt interfacing as standard. Positive: Excellent display; great design; good performance; excellent audio; very fast SSD and quiet operation. Negative: Weak gaming performance. 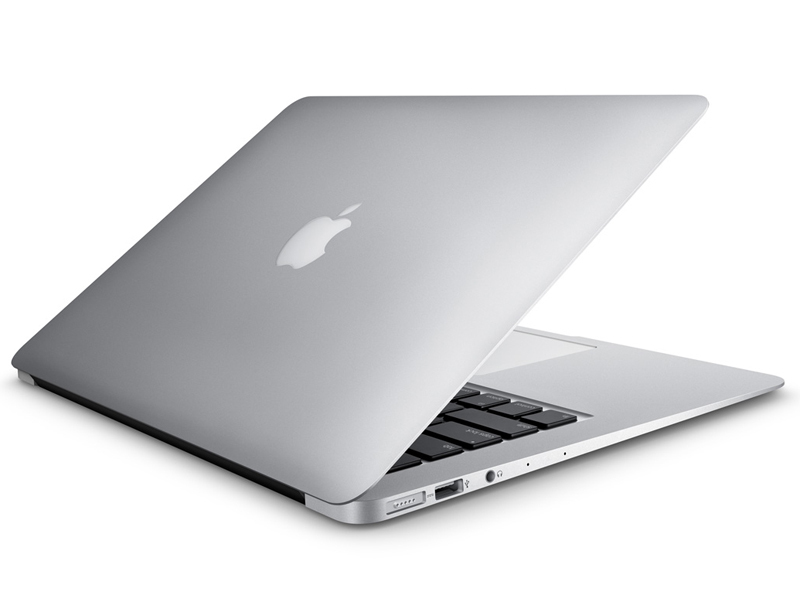 Model: The lightweight and portable Apple MacBook Air 13 inch 2015-03 is to some a benchmark of portable capability. Beautifully designed with smooth matte finish, curved edges and premium build quality, the Apple MacBook Air 13 inch 2015-03 is a pleasure to use. On board is a 13.3 inch LED-backlit widescreen display with a glossy finish. Colors are stunning and details are sharp providing an immersive feeling. The 1.35 kg laptop comes with an Intel Core i5 dual core processor clocked at 1.6 GHz, up to 8 GB of RAM, Intel HD Graphics 6000 GPU and up to 512 GB of flash storage. Users will have no problems performing everyday on-the-go tasks using the Apple MacBook Air 13 inch 2015-03, which looks stylish as a bonus. Other features on the laptop include two USB 3.0 ports, a Thunderbolt 2 port, Bluetooth 4.0, a FaceTime HD camera and an SDXC card slot. 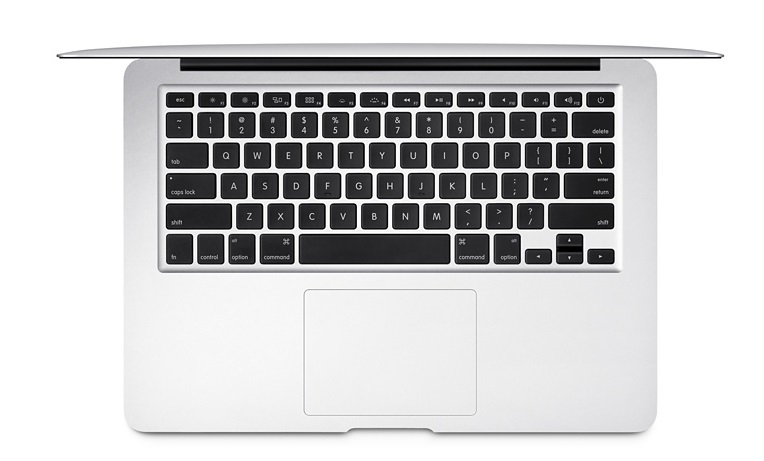 Typing on the Apple MacBook Air 13 inch 2015-03 is comfortable and it sports a full-size backlit keyboard. The device comes with OSX Yosemite delivering buttery smooth and fuss-free operation. 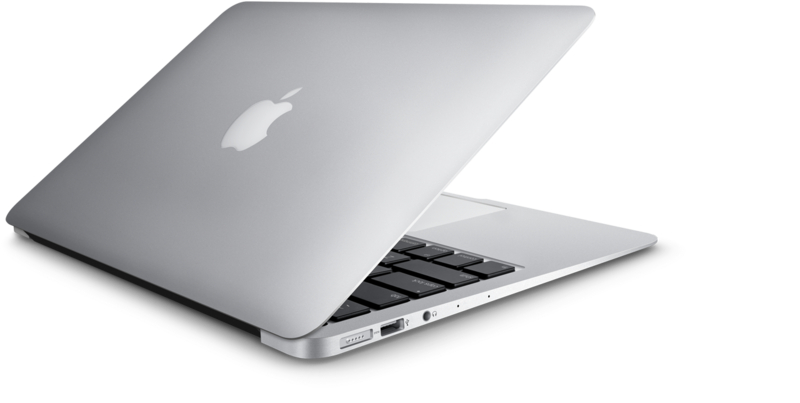 Portability is only useful with good battery life and the Apple MacBook Air 13 inch 2015-03 delivers with an integrated 63.5 watt-hour Lithium-Polymer pack allowing up to 7 hours of wireless web usage. 5250U: Broadwell-based ULV (ultra low voltage) dual-core processor for notebooks and ultrabooks. Offers an integrated HD Graphics 6000 GPU and is manufactured in 14 nm.» Further information can be found in our Comparison of Mobile Processsors.